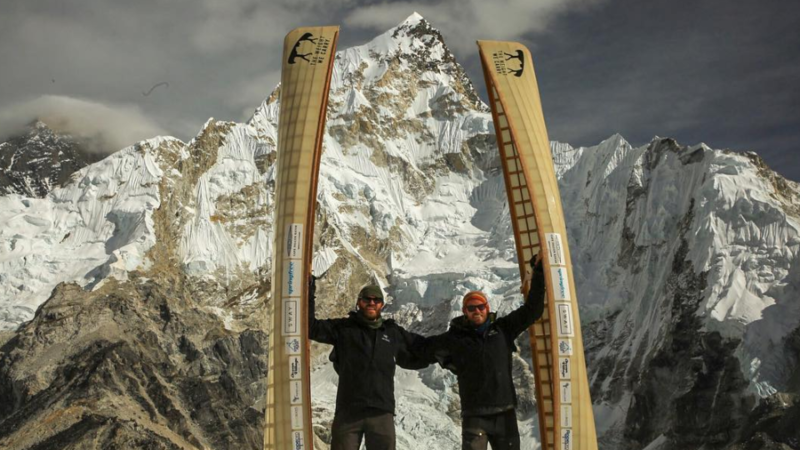 Two Canadians have taken portaging to new heights after an arduous journey to Mount Everest Base Camp with canoes on their backs. Brothers Kyle Roberts and Tom Schellenberg arrived at the base camp earlier this week after an 18-day hike. They each carried a canoe on their backs, meant to represent the extra burden of people living with mental health issues. The brothers, who are both personally affected by mental illness, chronicled their trek online. The goal: to raise money for a women’s mental health facility in Kathmandu, Nepal. “The fact that we have that support, I just really feel that we need to be able to try to help those who don’t,” Schellenberg told CTV Kitchener via a video call from Everest. The two-week trek wasn’t without its difficulties. Both men carried at least 80 pounds on their backs, including backpacks filled with food and sleeping bags. Schellenberg’s toe became infected, and both dealt with injuries and soreness. They also needed to start their journey farther from the traditional starting point due to the canoes. Their perseverance made the arrival at base camp even sweeter, they said. “We were all just bawling our eyes out. 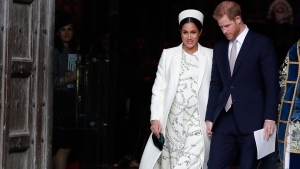 It was very, very emotional,” Schellenberg said. Family and friends watching their journey back home said they were proud of the accomplishment. “To see them push though that and make it all the way was pretty incredible,” said stepbrother Jonah Greenberg. The brothers now face a new challenge: the hike back down. It’s expected to take another week, making the full journey more than 200 kilometres on foot.